CLOSEOUT PRICING SPECIAL!! ONCE THESE ARE GONE THERE WILL BE NO MORE AT THIS PRICE. 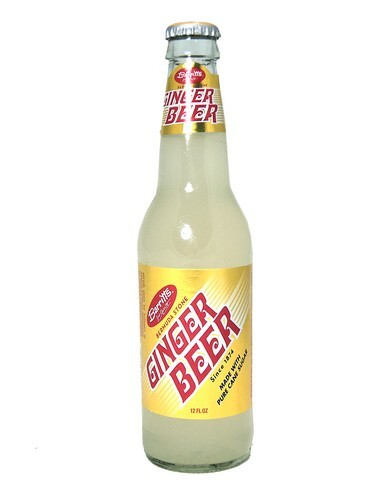 THIS IS ONE OF THE VERY BEST GINGER BEERS ON THE MARKET!! FRESH 12oz glass bottles Barritts Ginger Beer soda with SUGAR!!! Bermuda loves Barritt's Bermuda Stone Ginger Beer, a zesty ginger soft drink, that has been bottled continuously since 1874. While Barritt's Ginger Beer can be enjoyed alone it is a versatile mixer adding spice to rum, vodka, beer or exotic liqueurs. Barritt's Ginger Beer also features in a number of island recipes for cakes, jams marmalades, sauces and festive fruit punch.